Higherbeing25 is the username in Love-meet.net of a 25-year-old male teacher from Vice City. 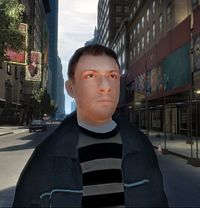 Although not featured in game, he appears on the Grand Theft Auto IV's official website. This page was last modified on 26 October 2013, at 15:16.